Ease of test authoring and management, requirements management and test case linkages with requirements based on objectives, needs and usage scenarios. Inject BDD techniques, use test cases module to organize test cases, share and reuse test cases to maximize efficiency. Simplified test execution by creation of test cases and test steps by either linking test cases directly or by mapping with other user stories. 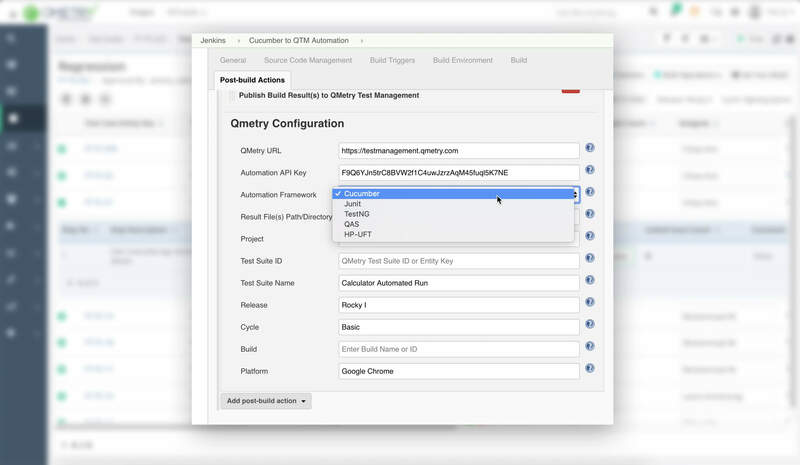 QA professionals can enter the results manually for test execution, or in case of automated testing, results are automatically captured in the test suite. Make informed decisions with real-time visibility, test run reports, traceability reports and highly customizable reporting and complex visual analysis. Faster and smarter testing for Agile teams with Jira integration. Incorporate testing into the project lifecycle and take informed go/no-go decisions.